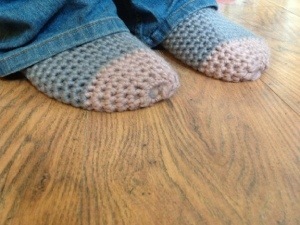 So, I finished these socks a while ago but forgot to put them up. 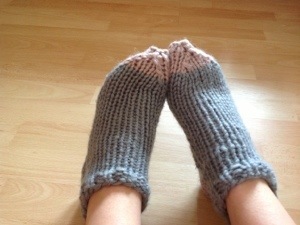 They’re lovely and warm but need breaking in a little! 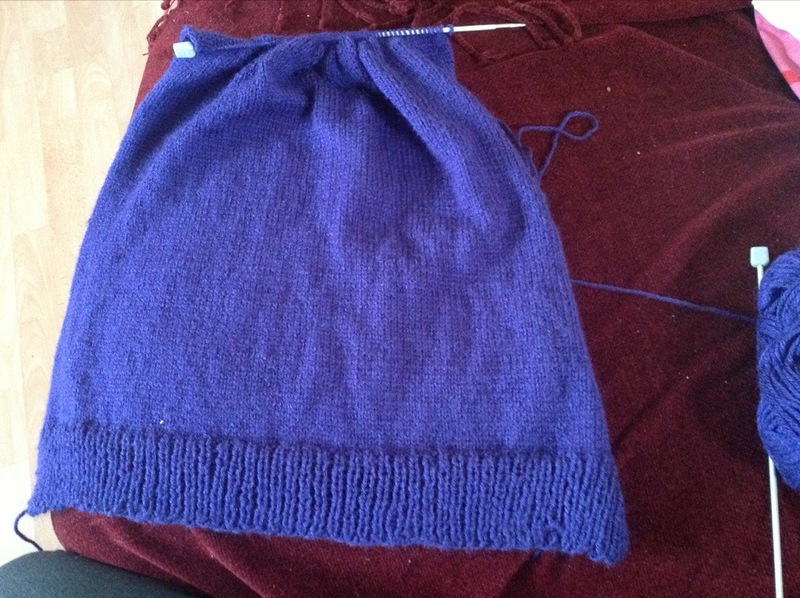 Also, the ends aren’t very neat but I rather like the fit! Now I just need to start on the orders for my family. My baby sister always wants one of whatever I’m making! 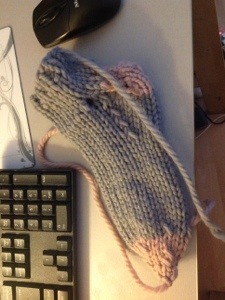 Next I’m working on a cat, so far it’s half a foot! 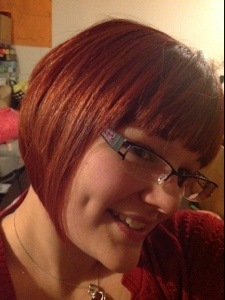 I cut my hair! 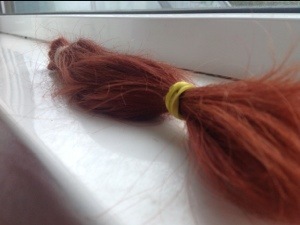 It’s all going to the little princess trust, there’s 7 inches, just enough for them to use for a wig. Matt grew his hair for years to send to them do they were the obvious choice! 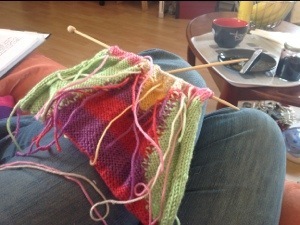 My crochet has taken a bit of a break while I’m discovering knitting. 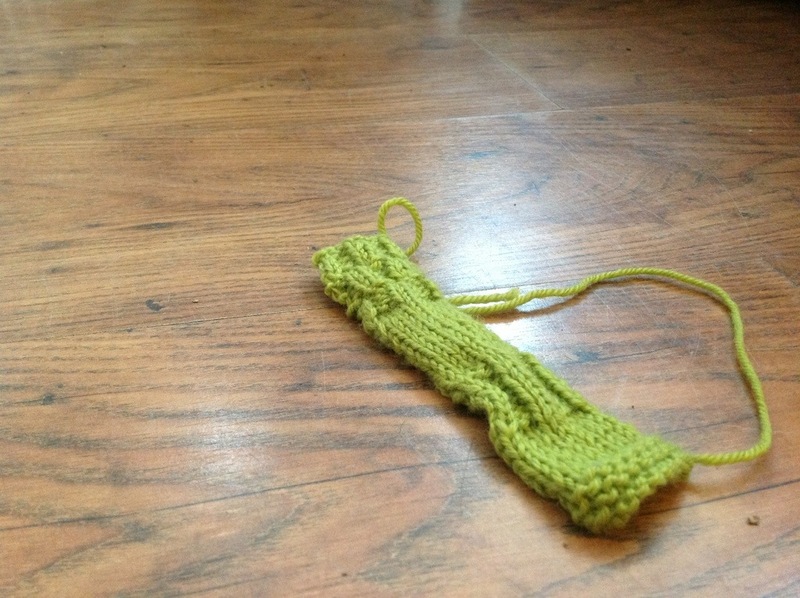 I’ve tried knitting in the round with 4 needles, I made a sock!! It’s got a few holes in it but, as soon as I make it a mate, I will love it and wear it forever! 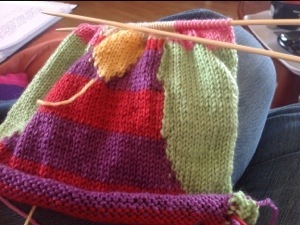 I got a little confused with all of the colours and there are quite a few holes between the colours, and I get the feeling that I missed a couple of rows out! – it’s going to be hard to match the back to it now! 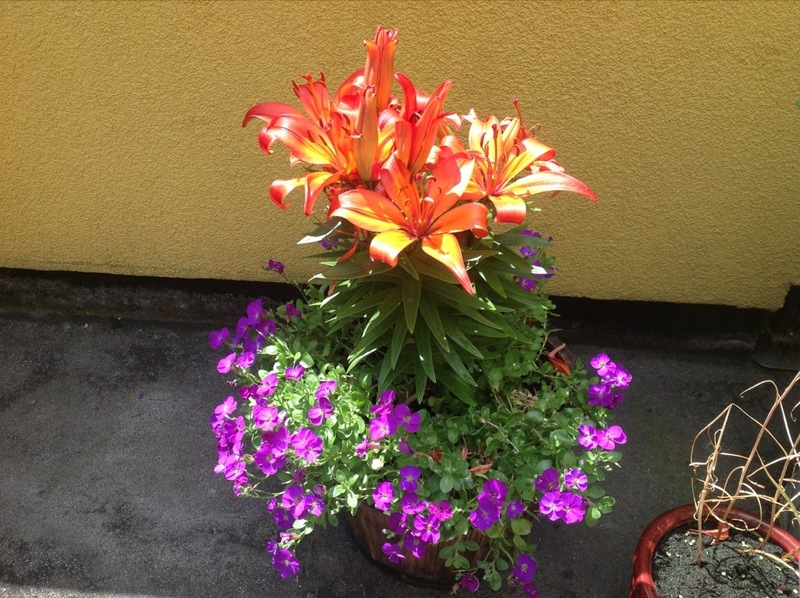 First of all, thank you so much Anastasia for nominating me for a Leibster award, I promise that I will follow the instructions as soon as I get a couple if spare minutes together! I’m moving house a week today so, as you can imagine, it’s all a bit hectic at home! I’m one of those people that find it so hard to relax if things are out of place so today has ended up being a bad day. 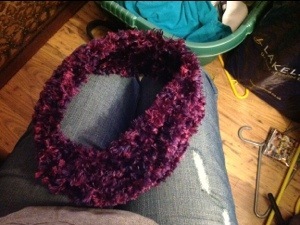 It’s a scarf / headband / ear muff. 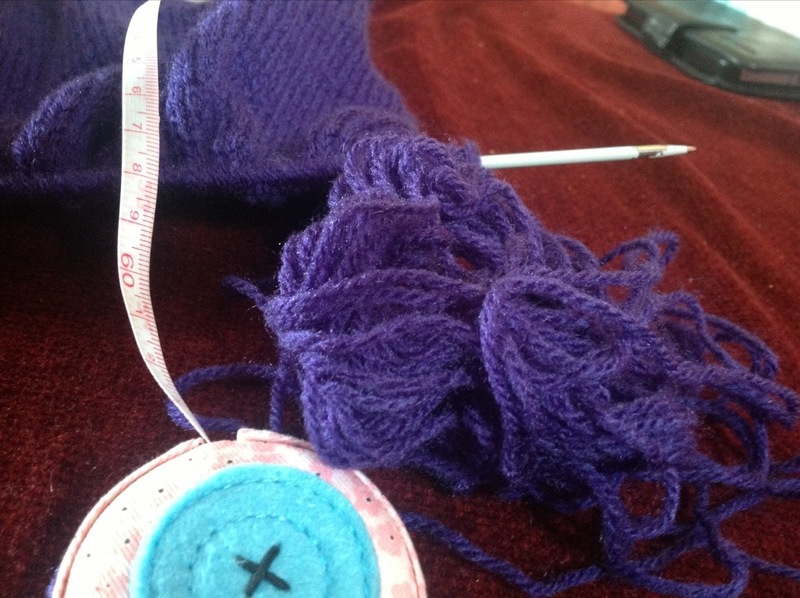 It’s my first time working in a fluffy wool and its much easier to use than I thought, I did have a little problem on the last row, I was low on wool and forgot to cast off so I had to go back but couldn’t see the stitches very well…I ended up getting my dad to undo it for me! 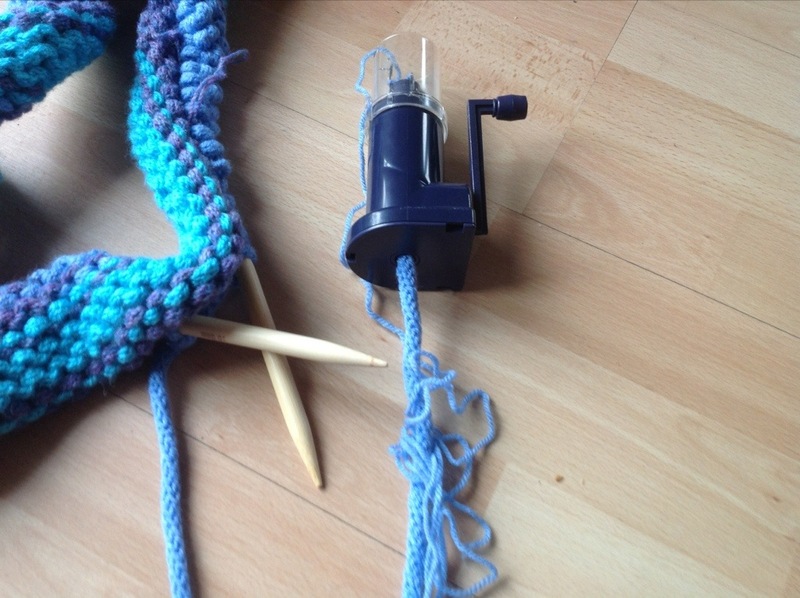 I am glad that I have knitters nearby! Please do excuse the look on my face, it really was the only ‘good’ photo I could get so I thought I’d better stick with it! 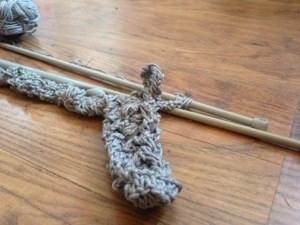 I can’t believe that I can knit! 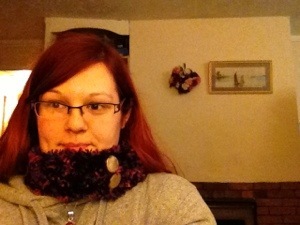 My grandma tried to teach me to knit when I was young and I was quite impressed with the scarf that I made. The only problem was that I kept adding stitches and had to get my dad to take it back in for me so it ended up looking like a Christmas tree! 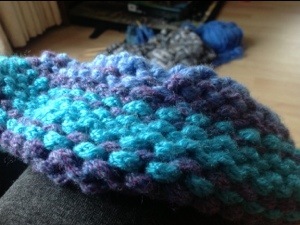 Anyway, with my crochet knowledge, I thought I might try again and my boyfriend mum gave it a go! 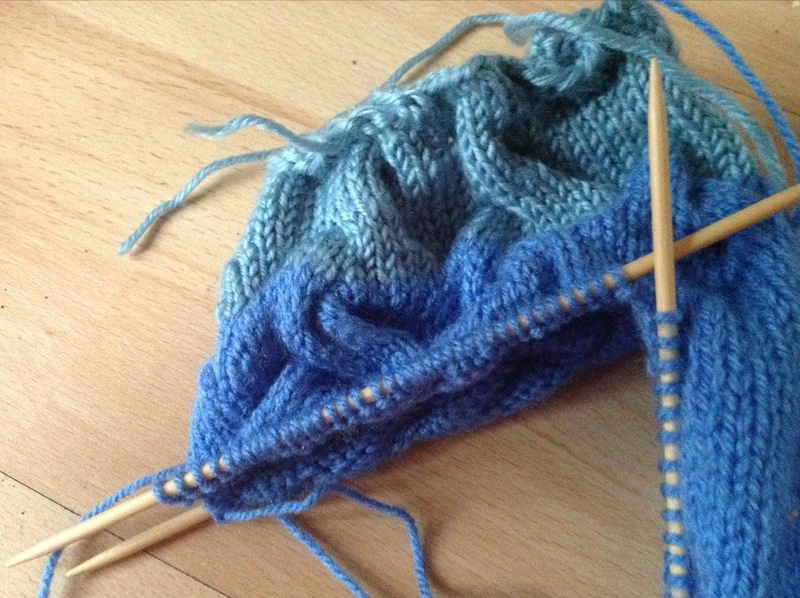 I’m really surprised how easy it is once you can recognise the stitches! 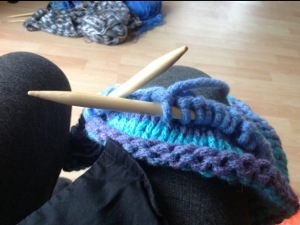 It’s brill coz I’ve got a book that I want to try patterns from but they’re knitting…now I can! 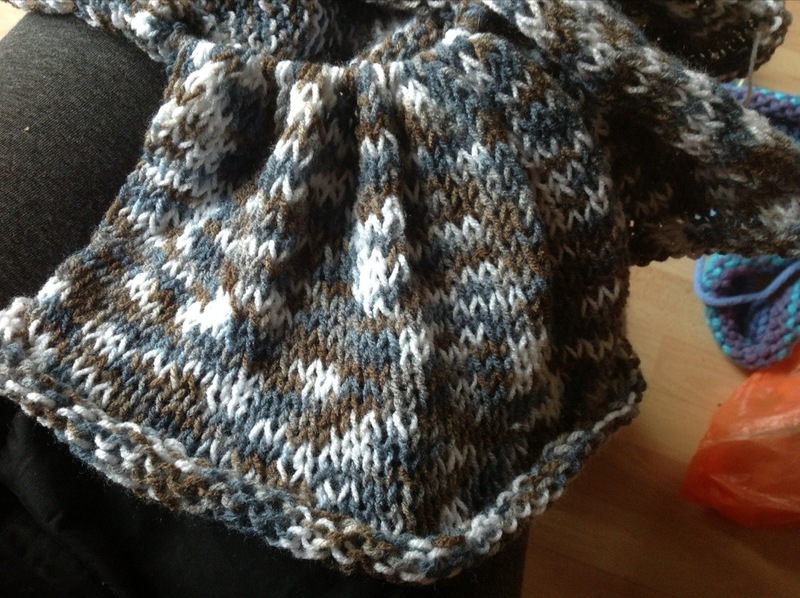 This is my first knitting trial…I’m so proud of it! 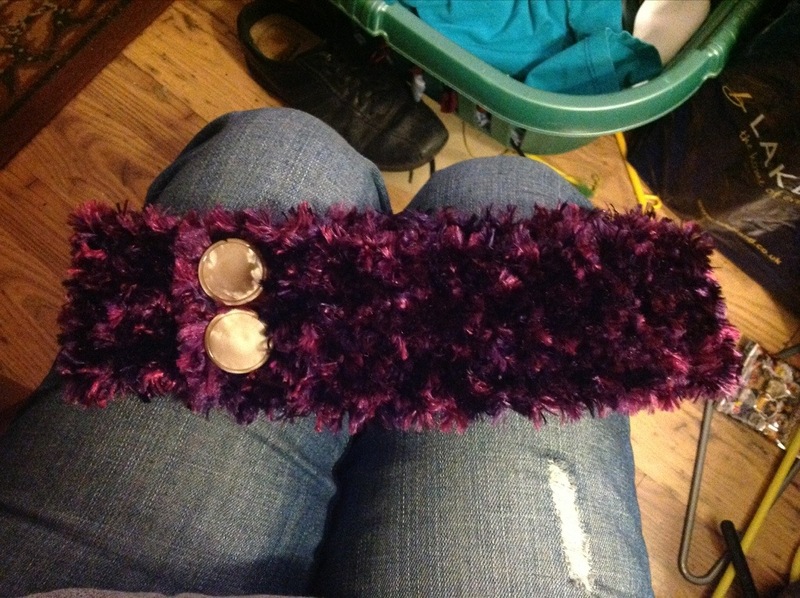 Jill did the first half but I finished it and experimented with it. 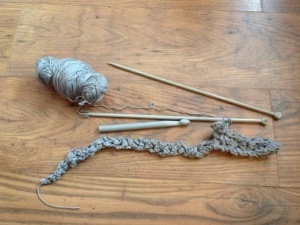 I’m making a rug, first knitting a row as a cord and then crocheting it into the rug. 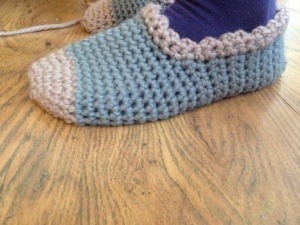 Oh ye, I also made these slippers for my step mum, I think I’m going to be putting buttons on as eyes though, they would look a bit like my creatures! I’ve just got to get going on mine now! 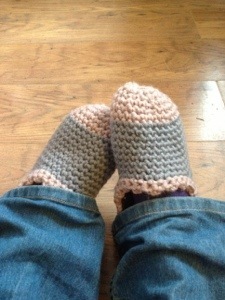 Keep checking in, I’ll show you them when the buttons are on too, and (if I can work out my pattern) I’ll post it too!